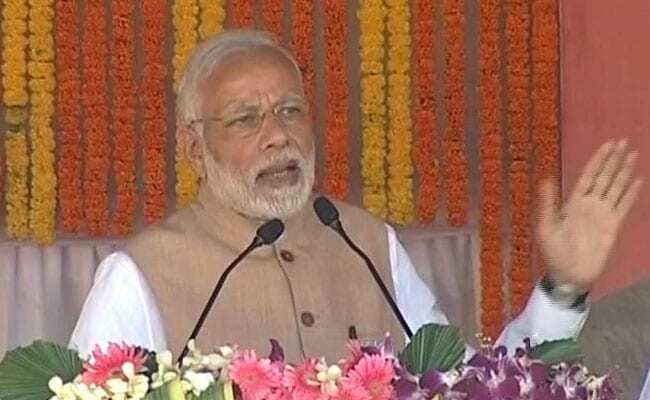 Prime Minister Narendra Modi has said that his government his committed to the development of Chhattisgarh. Addressing an election rally at Jagdalpur on Friday, Mr. Modi said his government is working round the clock to ensure faster development of the state. The Prime Minister also said that his government believes inclusive development. Congress President Rahul Gandhi criticized the government's demonetization move. He was addressing an election rally in Kanker today. He will hold more rallies of Rajnandgaon district later today. He would also release the Election Manifesto of Congress during the public meeting at Dongargarh. Campaigning for the first phase of assembly elections in Chhattisgarh will end tomorrow evening. Out of the 18 constituencies which are going for polls in the first phase on Monday, six are in Rajnandgaon district and 12 are in Bastar division. Most of these constituencies are affected by left-wing extremism.